So these straighteners are part of Lee Staffords Haircare range and the main difference between these any other similar straighteners out in the market is that these ones come with coconut oil infused ceramic plates, which are said to help protect your hair. 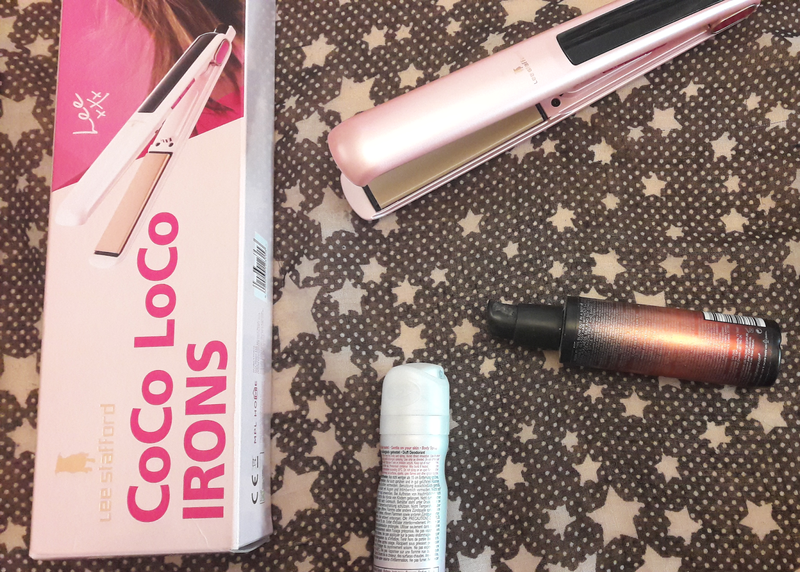 The straighteners come in quite basic packaging, which after reviewing Lee Staffords Academy Hairdryer (see my review here) I was pretty disappointed with, but i suppose it goes with the lower end price these irons are being sold at. 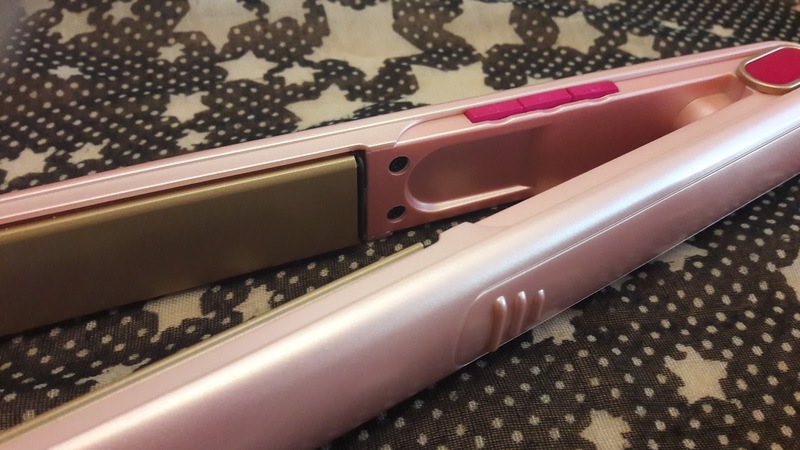 The straighteners themselves are a pearlised pink colour with dark pink buttons and gold floating plates. The cable is a good length and its a swivel cord meaning you don't get the dreaded cord tangle issue. The plate end has a nice rounded curve feature and the benefit of this is it gives you the ability to create different styles - so not just pure straightening you can curl and flick also. 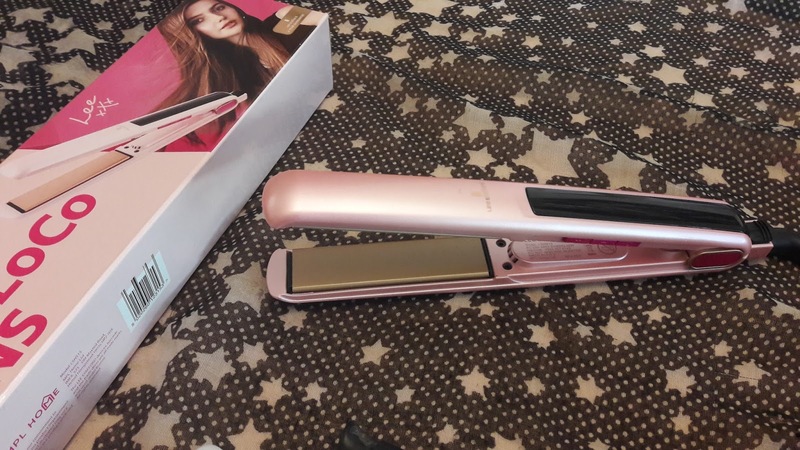 The straighteners have variable temperature settings ranging from 120 - 200 and the heat is controlled by 2 buttons on the side to reduce or increase the heat. When switched on there is an LED display on the top panel which displays the current heating setting which is really handy. They heat up fairly quick and i normally go for 200 as i do like really straight hair. The plates are a really good width and this is where the coconut comes into play - when heated up the plates transfer the coconut onto the hair so when you pull the hair through it slides through easily and leaves your hair with an added shine and smooth finish. I have pretty thick hair and these glided through no problem - i have to admit that the low price of these made me a bit sceptical as to their performance but for a lower end pair of straighteners i was really impressed. 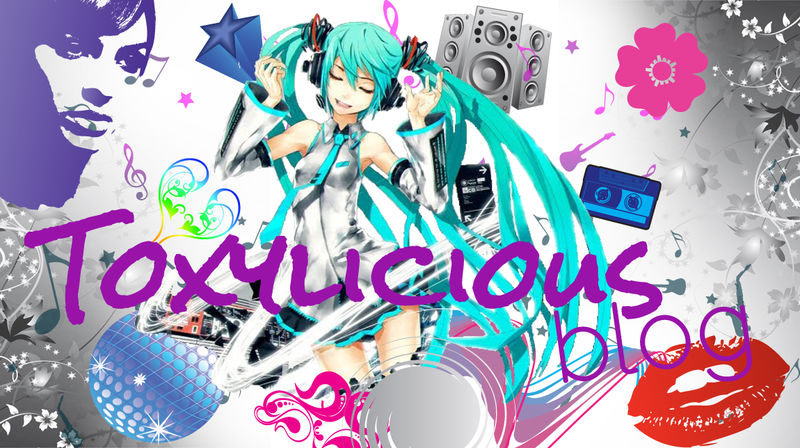 The rounded curve design of these does help with the curling element should you wish to use these to curl your hair. I do find sometimes curling with straighteners they can stick and jar whilst twisting - these don't which means less risk of hair damage. 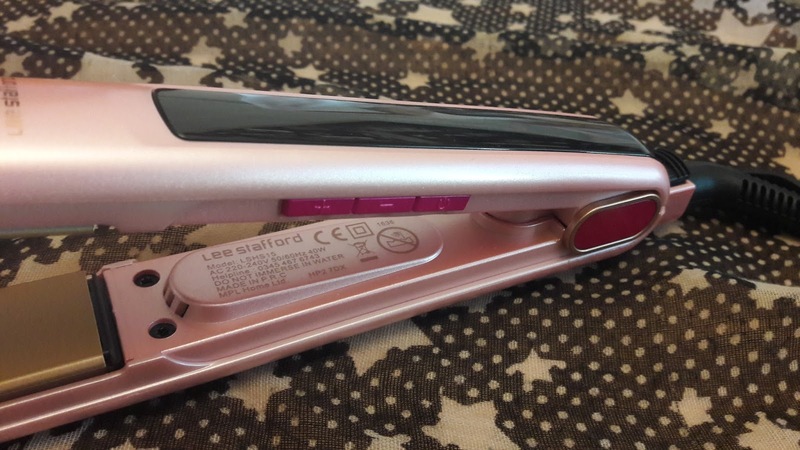 The straighteners have 2 safety features which include a shut off function after 45 mins and also a handy lock feature which closes the plates shut. 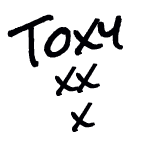 They also come with a 2 year guarantee. Overall this is a decent set of irons - however i must admit that i still prefer my previous straighteners as they gave me a more sleeker finish, but these do work better for curling than my last ones. The price is an absolute bargain at around £27.50 so if you are looking for a bargain set of irons that do the job then look no further. Thank you to Review Directory for giving me the opportunity to try these irons.